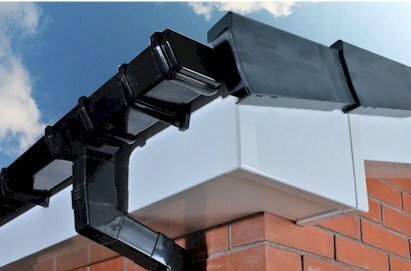 Fascias guttering and soffits are cheap fascias manufactured in the UK ideal for sheds and garages or even on the house sizes quoted are external sizes deduct 7mm for internal sizes, use 30 mm pins to fix this board. The price is low but these boards are still guaranteed for ten years. Description: 9mm Cover Board Fascia Dimensions: 9mm x 150mm Internal x 2.490m Internal Leg Size 27mm Board Tolerance = + - 5mm Colour: White Click Here To See All 9mm Upvc fascia Cover Board Sizes Options & Prices. Or Follow The.. Description: 9mm Cover Board Fascia Dimensions: 9mm x 175mm Internal x 2.490m Internal Leg Size 27mm Board Tolerance = + - 5mm Colour: White Click Here To See All 9mm Upvc fascia Cover Board Sizes Options & Prices. Or Foll.. Description: 9mm Cover Board Fascia Dimensions: 9mm x 200mm Internal x 2.490m Internal Leg Size 27mm Board Tolerance = + - 5mm Colour: White Click Here To See All 9mm Upvc fascia Cover Board Sizes Options & Prices. Or Foll.. Description: 9mm Cover Board Fascia Dimensions: 9mm x 225mm Internal x 2.490m Internal Leg Size 27mm Board Tolerance = + - 5mm Colour: White Click Here To See All 9mm Upvc fascia Cover Board Sizes Options & Prices. Or Foll.. Description: 9mm Cover Board Fascia Dimensions: 9mm x 250mm Internal x 2.490m Internal Leg Size 27mm Board Tolerance = + - 5mm Colour: White Click Here To See All 9mm Upvc fascia Cover Board Sizes Options & Prices. Or Follow The.. Description: 9mm Cover Board Fascia Dimensions: 9mm x 300mm Internal x 2.490m Internal Leg Size 27mm Board Tolerance = + - 5mm Colour: White Click Here To See All 9mm Upvc fascia Cover Board Sizes Options & Prices. Or Follow The..